LATEST: Memoir HAS ANYBODY HERE SEEN KELLY? now professionallyedited. I write for me. I'll write for you. Features, reviews, opinion pieces on life's foibles, film & TV nostalgia, Belfast and more. 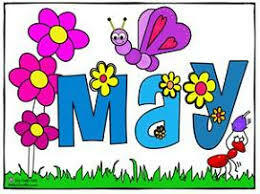 Contact: joecushnan@aol.com NO FEAR OF TIGHT DEADLINES! Page views since 2011 below. Available for freelance writing commissions on a variety of subjects including family history, nostalgic Belfast and its famous people, shops, shoppers & shopping, the golden age of Hollywood (esp westerns) and humorous pieces of life's weird and wonderful. Op-eds, columns, non-fiction book reviews too. I like cemeteries. I am not always comfortable in them, but I find them fascinating places. When not attending a funeral service and enduring the grief and sadness of losing a loved one, I enjoy spending time as a kind of a graveyard tourist, browsing headstones and trying to form some kind of a picture of other people’s lives, especially those poor souls who died at very young ages. My local graveyard when I was growing up in Belfast was Milltown Cemetery, a place that houses, if that’s the word, some of my family and friends. I tend to associate it with strong winds and heavy rain, but that might just be the (un)luck of the draw when I have been at funeral and burial services. Bad weather is a reminder, perhaps, that whatever else they are, cemeteries have a right to appear and feel miserable. It’s their job, in a way. But there is so much more to tell beyond the gravestones. Tom Hartley wrote about Milltown Cemetery and Belfast City Cemetery in his first two books in this trilogy on the history of Belfast ‘written in stone’. I have not read either book but I may well do on the strength of this latest volume on Balmoral (Malone) Cemetery in Stockman’s Lane. This is history thoroughly researched and explored in great detail. It is not only a book about the cemetery. It covers much wider territory beyond the walls and railings and takes us through Belfast Presbyterianism’s past. This is a story of power and strong influence from religious and political figures played out in meeting houses and schools, in missionary and temperance halls. The book covers the opening, development and eventual closure of the cemetery, some of the extraordinary people buried there, the origins, historical roots and troubled times of Presbyterianism and the fate of church and school buildings, all enhanced by informative appendices and an impressive array of illustrations. The writing is neither stuffy nor off-putting, as some history books are. As I read through, I wanted to ‘do a Portillo’ and visit Balmoral Cemetery with tome in hand to get closer to the details. But, not having the time or the opportunity to do so just now, I might well pack the book when I have more time to explore on a future back home visit. Tom Hartley has achieved something remarkable here. I told some friends that I was reading a book about a cemetery and their eyes rolled as they scoffed that a book about such a place would be so depressing. Not so, and far from it. 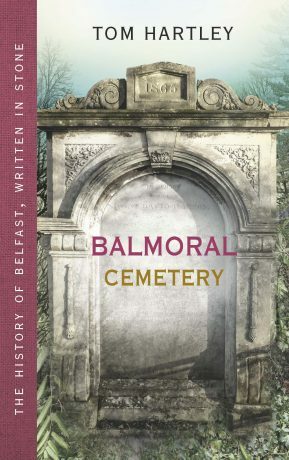 Balmoral Cemetery: The History of Belfast, Written in Stone reinvents what the story of a graveyard should be. Of course, the core focus is the ground within the walls and the inscriptions, but it’s the stories of individuals and congregations, of flesh and blood, of people that, if you’ll allow me, breathe life into the stones and the historical relevance of those beneath. I hear said: no words. shock, grief, pain, sorrow, anger. even when it seems they don't. eating away at hearts and souls. but never extinguished. Never extinguished. always ready for triumph, revival, for a rising. They say deal with loss. They say time will heal. They say there, there, sorry for your loss. They say what's done is done. They say draw a line. Old school, I know, out of fashion, lost cause. To widen the eyes and drop the jaw. Walked the carriage to a connecting door. Turned again and carried on her duties. The purity of natural kindness. on any aspect of this trip. When I was a boy of six, our teacher, Mr Sadler, told the class at St. Teresa's Primary School, Glen Road, Belfast, that we were going to work on a project. 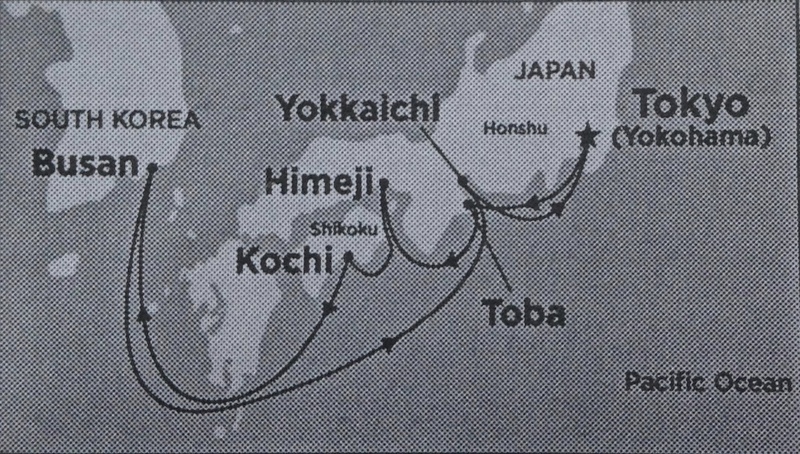 We were going to find out as much as we could about Japan from books, holiday brochures and whatever else we came up with. 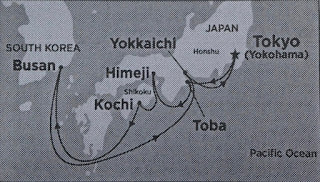 I remember it was an exciting project because there seemed to be nothing more distant or exotic as Japan. In a matter of weeks, the classroom walls were covered with photographs, paintings, newspaper and magazine cuttings, and all manner of things. I have never forgotten that project. Fast forward almost 60 years and there I was recently walking the streets of Tokyo and visiting places like Yokohama, Toba, Himeji, Kochi, Yokkaichi, with a wee detour on one day to Busan, South Korea. It was all fascinating and mind-blowing. I am now writing up the trip for a short memoir - working title, 'Postcards from the East'. I might pitch it or parts of it to editors, but as a last resort I'll blog a few pieces or even self-publish just for the family record. So many moments, especially one that blew me away, and so many stories. It is local election time and political campaigning leaflets are outnumbering takeaway menus at the moment. The blurb on them is, by and large, airy-fairy claptrap, of course. I often say that on the morning after ballot boxes have closed, that mighty din of whirring is the sound of manifestos, promises and pledges being shredded en masse. Here's another leaflet that was posted through my door. I will not identify the contender. 'We will freeze your council tax for two years. We will protect our rural communities from over development. We will scrap town centre Saturday parking charges. We will invest in our town centres. We will be tough on fly-tipping. We will protect fortnightly bin collections. We will build council houses. We will re-open public toilets. We will have a zero tolerance to all types of anti-social behaviour. We will always put the needs of local residents before party politics. All very noble stuff. And based on just about every past local election, the realist in me screams that there is not a cat in hell's chance of much of this list actually being delivered. For example, town centres have been dying for years and reports and recommendations have blethered on and on about what should be done. And what happens? NOTHING. Vote wisely but vote on the basis that your only choice is picking the least worst candidates. Here's a leaflet that was posted through my door. I will not identify the contender but I was intrigued by something - the use of exclamation marks and other emphases. I have edited out a few bits. "Do we want more of the same, are we all fed up of all the broken promises, the ineptitude or do we want CHALLENGE and CHANGE??" I will deliver CHALLENGE and CHANGE: using my core values of Openness, Transparency, Fairness, Integrity, Passion, Innovation and Accountability!! I will drive change via those core values, my track record over the past 16 years is a successful one! I will make a difference for my ward, for local people, for the sake of our children, grand-children and their children!!!" This is non-specific nonsense and it seems to me the writer knows this because of the need to use capital letters, 2 question marks at the beginning and 6 exclamation marks throughout. Emphasising nothing of substance is emphasising nothing. Brainstorming a lot of words and calling them "core values" is a typical political tactic. They all sound fine and noble but nothing else. There is no commitment here. Nothing. So, always be wary, folks, of lazy words, meaningless sentences and over-exuberant use of punctuation from political contenders. Now, I will DELIVER this waste of paper to the bin forthwith!!!!!! Memoir HAS ANYBODY HERE SEEN professionally edited by Belfast-based Averill Buchanan. Pitching. 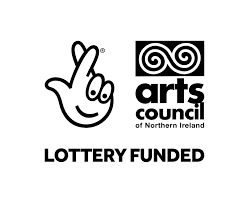 Thank you National Lottery & Arts Council of N Ireland for support. STEVE COOGAN AS LAUREL; JOHN C. REILLY AS HARDY. REALLY?